I love the wintery pony paper, Jahlila! ugh.. stilll waiting on ponies.. i hope they get here soon! I went ahead and shipped mine too...I know I'm early, but I wanted to make sure I got it on its way in plenty of time! CUTE FIM wrapping paper! Dang, my stores never seem to get any of the fun stuff! I'm glad y'all are having fun with this. 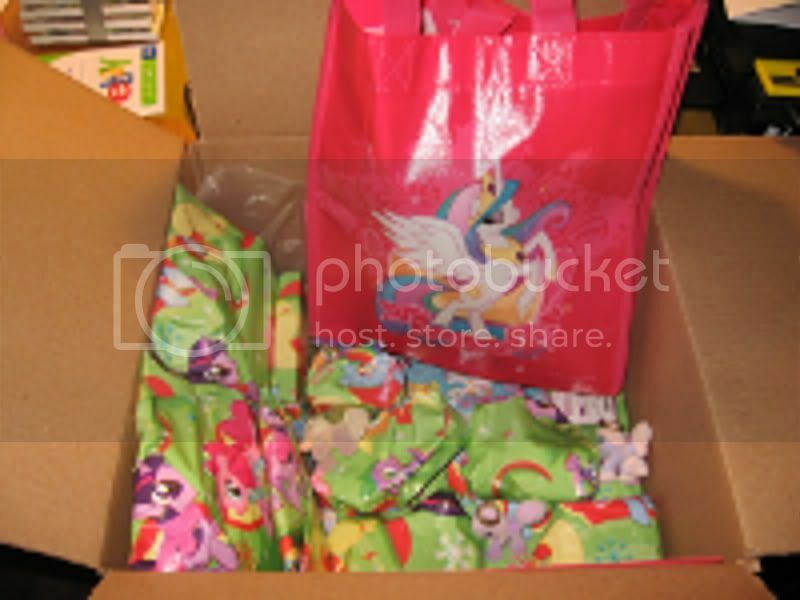 waiting on1 more pony then i can post teaser pics and ship out! gah.. the mail has been so SLOWW lately! wheres my pony Mr. Post Man?? REMINDER: Start shipping next week!! Teaser pictures too, if you can. Yay!!! Finally, shipping time is here. I plan to send mine on Monday and will post when I do. posting my teaser soon!! i was waiting on a pony but she is here now! I'll be shipping out tomorrow!! Hereis my teaser pic. looking forward to the brag thread!! Ooooh, pretty wrapping paper mistic_imp! Shiny and colors! !